Commercial customers across Swansea and South Wales rely on us to maintain their carpets and upholstery on a regular basis. This not only ensures a pleasant and healthy working environment for employees but also conforms to the manufacturers maintenance recommendations – extending the life of your carpets for many years longer than carpets which are not maintained. We can offer our conventional steam extraction cleaning service, perfect for deep cleaning and bad staining. Alternatively, we can offer an almost silent, low moisture carpet cleaning service that is incredibly fast, convenient and effective for maintaining commercial carpets. Please read below about our Dry Fusion Carpet Cleaning Service. What Is Dry Fusion ? Dry Fusion is the only carpet cleaning system that heat cleans, deodorises, stain protects then heat dries all types of synthetic and natural carpets, carpet tiles, oriental rugs and is Woolsafe approved. It’s all in the same process, and because it is patented, nobody else can use this amazing system of cleaning. By taking all the best features of hot water extraction (hot solution, “Shot of Steam”), the best features of dry cleaning (low moisture, mechanical agitation) and combining them together with the patented hot cleaning pad system that constantly heats the fibres as they are being cleaned – you have some of the most outstanding results ever seen. Three unique mechanisms work to keep Dry Fusion cleaned carpet virtually stain free to maintain that just cleaned look longer. First a Fluorocarbon Resin places an invisible protective shield over every fibre during the cleaning process. It helps prevent dry grit, dust as well as spills lodging within the carpet. Even walked in mud and oily spills have difficulty seeping in because the fibre is effectively “non stick”. Secondly a unique stain blocking additive helps block dye sites in the fibre that normally allow food spills and beverages becoming permanent stains.. Thirdly a “shot of steam” is used to remove deep seated stains without the need for aggressive cleaning solutions that can damage the carpet fibres. The end result is a clean, deodorised and protected carpet that is DRY, 30 MINUTES after cleaning GUARANTEED. Due to it’s whisper quiet equipment, Dry Fusion can be operated in noise sensitive environments such as communal flats, call centres, care homes, hotels etc;. Recommended by leading carpet manufacturers, Dry Fusion has been fully tested and approved for cleaning textile floor coverings in some of the UK’s most prestigious buildings. Step one – vacuuming…..it’s very important to vacuum with any carpet cleaning system, by vacuuming first north south, then east west – you remove most of the 86% of lose soil by using a see-through demonstration filter and vacuuming just one square metre of carpet it’s easy to simulate the waste tank of a hot water extraction machine. You only need a small amount of dirt to make the water go dirty. Step two – pre-spray…..using the neutral ph activator cleaning solution diluted 1 to 4 parts water, we pre –spray an area of approximately 20 square metres, because of the unique surface chemistry of the surfactants, a change starts to take place as soon as the activator is applied. The dirt loses its binding power to the fibre and detaches itself. One part Activator is then mixed in the ringer vessel to 4 parts water. The Dry Fusion pad is then soaked in the solution and most of the moisture squeezed out. It’s then placed underneath the Dry Fusion machine. Step three – the cleaning process…..solution on the pad is quickly spread over an area of approximately 20 metres. We then use this solution to clean east to west. The physical agitation assists in removal of dirt from the fibres and the cleaning pad absorbs and holds most of the soils. The cleaning process is then repeated north to south.Now the heat comes into play; drying off the moisture, “curing” the fluorocarbon resin that laces an invisible shield over every fibre during the cleaning process. It also helps to prevent dry grit, dust and spills lodging within the carpet. Even walked in mud and oily spills have difficulty seeping in. Step four – grooming…..Grooming is rather like brushing your hair after washing. Here you can see any cleaning marks are easily taken out leaving the carpet looking like new. Removes more stains than any other system. Dry Fusion can be operated on all types of fitted carpets and carpet tiles. Dry Fusion provides you the customer with an entirely new, but highly effective solution for the cleaning and maintenance of all your carpeting. 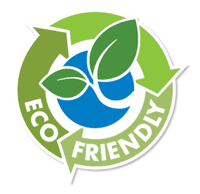 Do you use eco – friendly carpet cleaning products? We do our very best to manage our impact on the environment by using enviro-friendly carpet cleaning and commercial cleaning products and methods, at no extra costs to you. We know you will be impressed with our results, many customers expected to have throw carpets away, but soon realised trained professionals such as ourselves using the best equipment, can offer great results on badly stained carpets, though we can’t guarantee anything, we will do our best to give you an idea of problem areas, before applying our skilled spot stain removal techniques, followed by a full carpet deep clean. The length of the carpet fibres. On the day that we clean your carpets/upholstery, we will advise you on the drying times to expect. But its usually within just a few hours of completing. Yes please get in touch for more information about the deep cleaning process, or dry cleaning processes we use and a price for the work. Before work starts, we will provide you with a quoted price and that is all you pay. We will be happy to provide you with a free survey and quotation at your home or business beforehand. Great company to work with, great quality of work and affordable prices. Carpet, upholstery and Leather cleaning for domestic & commercial customers across Swansea: Including Birchgrove, Caswell, Cockett, Dunvant, Fforestfach, Gower, Gowerton, Langland, Mayhill, Mumbles, Neath, Newton, Penlan, Pennard, Port Talbot, SA1, Sketty Park, Sketty, Three Crosses, Townhill, Tycoch, Uplands.